There are some kitchen hacks that really blow my mind, like making coffee ice cubes or protecting fresh quac with a layer of water. 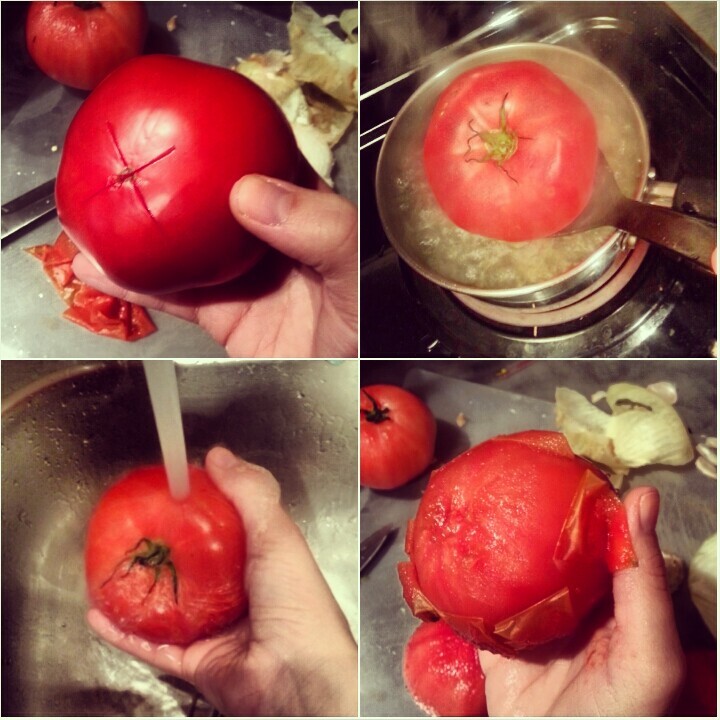 My brother taught me this one, and it was equally revolutionary for me: how to peel tomatoes quickly and easily. This is a MUST for making homemade tomato sauce, which you should definitely be doing. Truly, the cold water from my tap was strong enough to peel back the tomato skins without my help, that's how easy the skins come off. 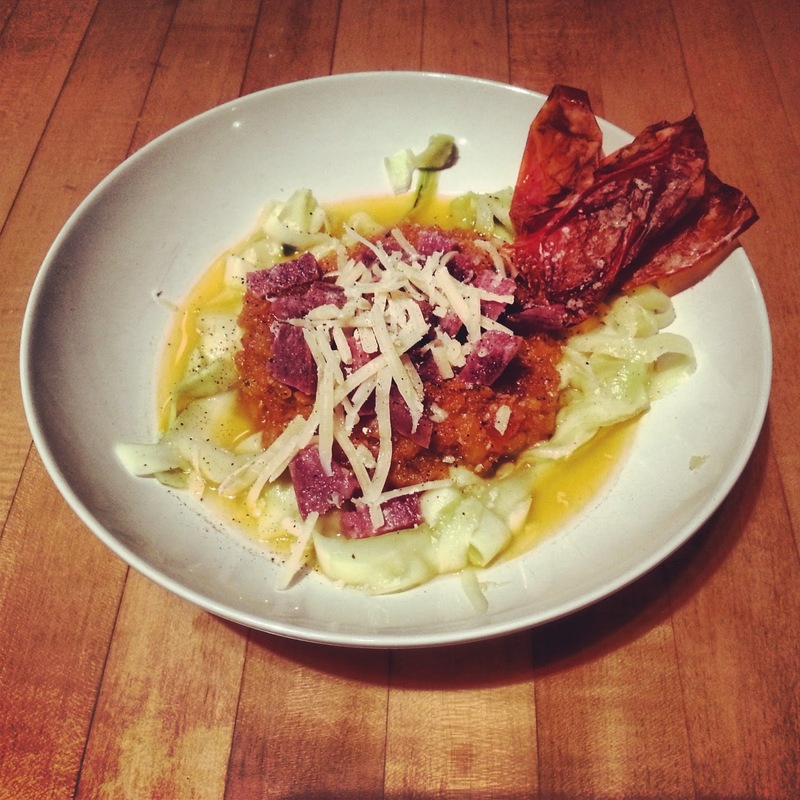 In under a minute you're ready to start using your peeled tomatoes! Because I hate waste, I saved the tomato skins. I sprayed them with a light dusting of olive oil, tossed on some salt and pepper, and baked them at high heat in the oven for a few minutes. They were a crispy addition to meals over the week, like this zucchini pasta above (which features my homemade tomato sauce, coincidentally). OORRRRR you can just buy canned peeled tomatoes. You can get ones without preservatives and stuff and save yourself the trouble.